Recently US Attorney General Eric Holder has been quoted to say that: "You can’t know what I know". 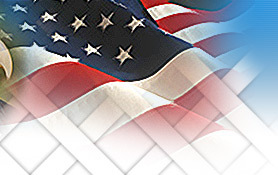 The comment was made in response to a question from the media with respect to the Boston Marathon Bombings. However, it could also apply to my family’s situation as well. It has been almost four very long years that our complaints were forwarded by the Office of the OIG US DOJ to the "US Department of Justice Criminal Division; the Office of the Inspector General for the Social Security Administration; and, the Office of Inspector General of the US Department of State." I have been informed by the Office of Social Security that jurisdiction in the matter of my stolen identity rests with the US Department of Justice, and the FBI. I have written repeatedly to the US Department of Justice Criminal Division. The most recent letter is dated May 12, 2013. It has been posted on nhjustice.net (SOURCE). The purpose of the posting is to make a record, since we have been informed in the past our documents are not maintained in various government files, as they should be. Also, please see attached copy of 5.12.13 letter. The difficulty as I understand the situation is that US Attorney General Holder has recently stated that some of those persons whom we (myself and my two sons Fritz and Kurt Vorisek) have complained about over the past several years, are in the class of ‘too big to prosecute’. If this is the case then must one also assume that they are also ‘too big to investigate’? And, if this is a fact, our question is: Now what can the OIG of the US DOJ offer to us as a remedy for all the injustices that have been heaped upon us? If money talks and they have stolen all of ours, then your Office is the only voice we have left. No doubt in my mind that Balzac was correct when he stated behind every great fortune is a great crime. In our case two out of the top three wealthiest men in America are now attached to our complaints. Warren Buffet was named by us already (refer to MAY 2, 1994 FRAUD), and now the recently newly discovered emails that have been incorporated by reference into the above cited May 12 2013, letter clearly show that Larry Ellison had joined with Kenneth Lay and Michael Milken, two of those persons whom we complained about when our matter was sent to the Enron Task Force in 2003: Ten years ago. These emails prove that, in fact, Mr. Ellison along with Mr. Steve Fink and others were organizing a group in order to consider the value water as a natural resource. One suggestion by Mr. Fink was to value it similar to the way mortgages have been securitized, and we all know how that has ended. My family’s position on the issue of water then and now is that "Water is Life", and should never become a ‘weaponized ’ commodity to be traded on the global markets. The emails incorporated herein [attached] should prove, at the very least, that the State of New Hampshire’s October 13 2009, forensic diagnosis, which was based in part on my claims that water was being securitized; and, therefore, I had made the statement that High Birches would be in the mix as a major player: a "monopoly maker or breaker". And, for that statement, among others, that have now proved to be true, the State of New Hampshire’s OCTOBER 13, 2009 FORENSIC EVALUATION that I am ‘not competent’ is wrong, and should be retracted. I have written a letter requesting same from New Hampshire’s current Governor Maggie Hassan. The letter is dated May (6)7, 2013, and is also incorporated herein. As of this writing, I have received no response from the State of New Hampshire. Clearly, if Martha HW Crowninshield et al are too big for the US DOJ to investigate and/or prosecute, the State of New Hampshire, after taking $100,000 from her, with respect to the theft of the High Birches Springs Water Supply and Distribution System, has also no incentive to investigate our complaint either. The US Department of State is another issue altogether. Currently, since the US DOJ has refused to address the issue of my stolen identity, I have no legal social security number that I can use. 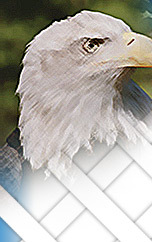 Therefore, without legal United States identity, I have been forced out of the United States. I am currently living [REDACT] … But, in the process I have been deprived of all my rights as a United States citizen, to include collecting my social security benefits. I am 68 years of age, soon to be 69 on August 21, 2013. 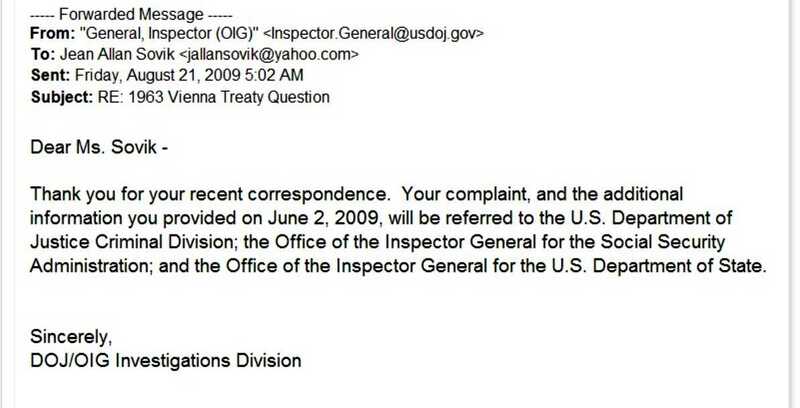 It has been a long four years since the Office of the US DOJ OIG sent me the above-cited email. As I have already stated, I was born in Panama, but in the Canal Zone. I resided there with my parents as a dependent until 1962, when I left to go to college in the United States. We lived in the same town that Senator John McCain was born in: Coco Solo. It was formerly a US Navy base, which was subsequently converted into housing for the Panama Canal Company employees, of which my father was one. Captain and Mrs. Robert Allan came to Panama in the mid 1930’s. My father, Captain Allan, worked for the Marine Division of the Panama Canal Company until he retired as Asst. Port Captain of the Atlantic Side. He was a Pan Canal Pilot for more than 30 years. The Panama Canal was turned over to the Republic of Panama in 1999. At that time all the employee records were archived with the US Department of State. It appears that during this process, either through accident, or design, I have been informed by the Department of State that the records of Captain Robert Andrew Allan have gone missing. This means that all his dependents files have gone missing too, which included all my identity papers, as well as those of my mother Agnes S. Allan. Both Captain and Mrs. Allan are deceased. The issue of my MOTHER'S SUSPICIOUS DEATH, and disappearance of her remains while in the jurisdiction of New Hampshire’s Medical Examiner is yet to be resolved, and has been incorporated into the global issues of our yet to be resolved complaints. To make an already complex matter more confusing, in October, 2002, after making a FOIA Request, I received a copy of my United States birth certificate. However, it turns out that there was a caveat stating that the certificate did not prove that I was a US citizen. And, to further complicate matters it was later found that the signature on the document that I received from the US Department of State, of then Secretary of State Colin Powell, had been forged. This I know for a fact since in January of 2003, I presented the document to the US Consulate in Panama, and I was informed of the fraudulent signature. This fraud was also conveyed to the US Department of State in Washington DC. I then also took the initiative to contact the OIG of the Department of State. My position was clear. If the files of Captain Robert Allan had gone missing, then I could perhaps see a reason for the Caveat, but not the forgery. And, if the files of Captain Robert Allan had not gone missing, then his certificate of birth, along with my mother’s and their US Passports would be there as proof of my US citizenship. Either way the caveat was not appropriate, or legal. Since the August 21, 2009 referral, no one from the Department of State has officially contacted me. As of this writing I am still not certain whether the files of Captain Robert Allan are missing or not. In conclusion it would appear that I have no place to go but back to the beginning. After more than two decades, I think that it is fair to say that justice delayed is justice denied. Wouldn’t you agree? Please, assist my family in getting the justice that we deserve NOW. Thank for your prompt attention to this very urgent, and very for my family, very discouraging matter. I may be reached at the above address, telephone number or email, and I am available to discuss these issues in greater detail with someone in your office, or [REDACT]. I do have a personal relationship with the local representative [REDACT]. I do plan to share my concerns with him at this time.